Johannesburg - Marshall Munetsi could make a lucrative move from Orlando Pirates to Major League Soccer in the United States. The 22-year-old defensive midfielder likened to Yaya Touré has transformed himself into one of prized assets in Supa Diski with some commanding performances. Munetsi, a regular with the Warriors, having caught the eye of coach Sunday Chidzambwa during a tournament in Zambia, with the gaffer saying he is the biggest find in local football in the past few years. 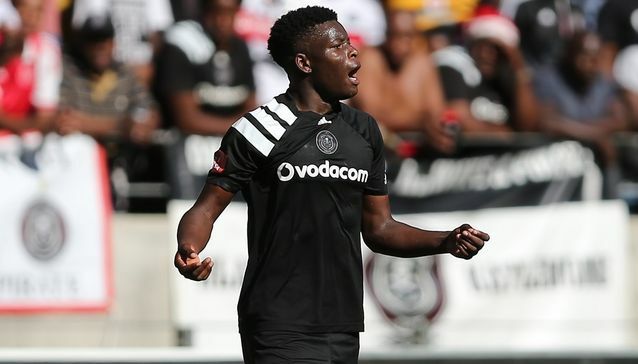 Reports suggest agents representing Munetsi could have sealed a deal for the utility player to move to the United States in August this year. “The lucky one will be playing in the MLS soon,” read the tweet. The tweet was later deleted but not before it had been re-tweeted by delirious fans of Columbus Crew, a club based in Columbus, Ohio, and were champions in 2008. Tinashe Nengomasha, one of those who blazed a trail by becoming the pioneer Warriors to play at the AFCON finals, in Tunisia 15 years ago, believes Zimbabwe have a gem of a footballer in Munetsi. “I think we are seeing the emergence of a genuinely talented Zimbabwean football star, maybe the face of this emerging crop of good players we are seeing in our country. Munetsi was born on June 22, 1996. He was signed by South African National First Division side F.C. Cape Town in July 2015. Big‚ strong‚ mobile and a good passer of the ball." He made his professional debut on 26 September 2015 during a 3-1 loss to Black Leopards, and scored his first goal in a derby match against Milano United on 16 April 2016, where it ended up being the winning goal in a 1-0 game. He attended trials with the Orlando Pirates, a team in the Premier Division, in December 2015.